Much of the support provided to the library by the Friends is through the Friends' Bookstore. 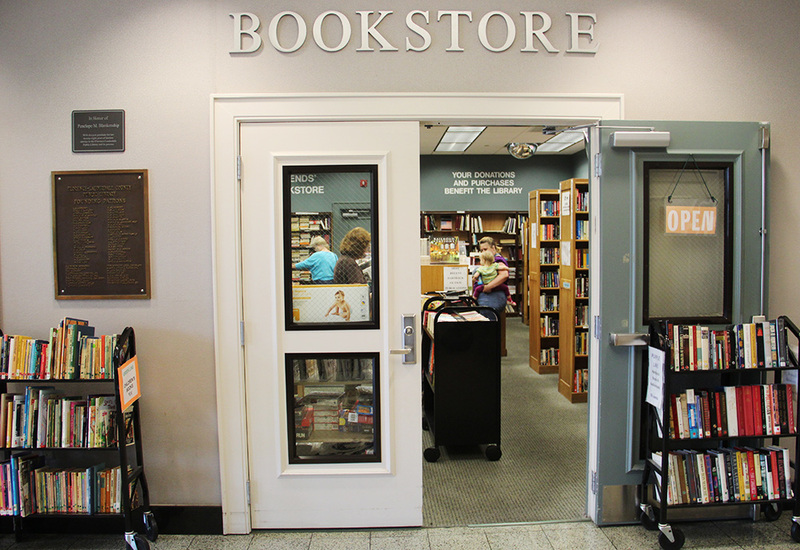 Located on the first floor and operated completely by volunteers, the Friends' Bookstore offers used books and magazines at next-to-nothing prices. The bookstore accepts donations of used books, magazines, and other materials. For more information, contact the Bookstore at 256-764-6564, ext. 119. Hours: Mon–Sat 10–4, Sun 1–4. If you too are a strong advocate of the Florence-Lauderdale Public Library, become a member of the Friends or donate your time by volunteering in the Bookstore. You can access the necessary membership and volunteer forms through the links below; simply print the form, fill it out, and turn it in at the Friends' Bookstore. Forms are also available at the bookstore. P.O. Box 1178, Florence, AL 35631. Be sure to include the name of the person(s) being remembered or honored and provide the name and address of the person to whom the notice of the memorial will be sent. Also include the name and address of the contributor so that an acknowledgement can be mailed.